My break from the blog is over, I'm back! I'm busy. I'm ready. I've been thinking lots about the hustle and bustle of daily life. I've come to the conclusion that I can embrace busyness to hide my brokenness. After all, we're all broken, right? Who enjoys admitting that? So we busy ourselves, distract ourselves from our heart, making time another day to dissect the problems we cover. I cover tears with black eyeliner, create a smile with shiny lip gloss and mask a broken heart with the latest bling from Charming Charlie's. Not purposely and certainly not intentionally do I hide. My heart's desire is to be transparent and exude realness to all those around me. I try hard to not appear to be something I'm not...or do I? I am also living a life of freedom and purpose because I am useful to a big and good God. I've decided to be more intentional about cultivating realness in my life. 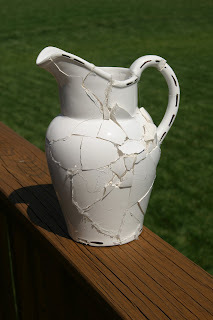 broken and mended oozing more of His Spirit through my cracks than I ever could pour from a perfect vessel. 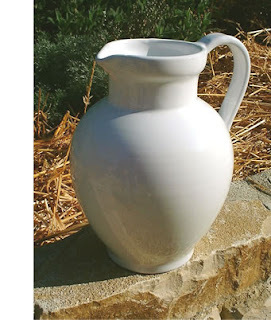 Read this post(You have to scroll down the The Past and the Pitcher but it's worth it, I promise). Grab your Kleenex and please, please go read this post. This Mother's Day weekend was very special. We started by picking the girls up early at school--a surprise and setting out for Galveston. We stopped at the Kemah Boardwalk where we rode some rides. This place is perfect for our family. There is enough adventure for the folks who love adrenaline and enough park benches for the folks who love observing. Perfect. The weather, perfect also. Perfect evening. 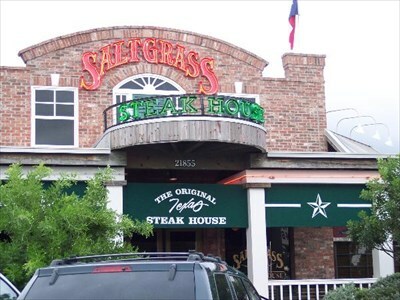 Then we ate at Saltgrass. Why didn't I know about this place? All I can say is Yumm-eeee! Affordable, kid-friendly and yummy. Again, a perfect fit. Then we got to Galveston. Andrew and the kids unloaded the car (Happy Mother's Day to me!) and lo and behold what did he find in his suitcase? 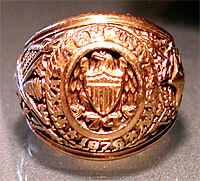 His long lost Aggie ring! Yaay! While they were lugging luggage and locating lost rings, I was at Walmart buying myself a Ped Egg. This is basically a cheesegrater with sandpaper on the end and it does wonders for a tired mommy's heels. Happy Mother's Day to me! Saturday was a fun and relaxing day. Andrew took Hunter and Julia to Schlitterbahn. Alyssa, Palmer and I spent the day at the hotel pool. Palmer took two naps, I read a book and Alyssa swam to her heart's delight. As precious Palmer was sleeping in my lap, I was running my fingers through his hair and what did I find? A nasty, disgusting, gross, blood-sucking, attached to his scalp tick! I gag just typing this! One of my worst childhood memories is of a tick. It was on my stomach and my loving mother and doting grandmother tried to burn it off of me. All I can remember is the terrifying feeling of being burned alive! I discovered the nasty thing, stopped a "random" lady at the pool (Where is my husband when I need him? )...the lady happens to be an EMT and a nurse. She says, "Burn it off!" UGH! I proceeded to use alcohol and tweezers to remove the vermin from my baby's pure scalp. When he began running a 102 degree fever a couple of days later I began to rethink this theory. After much Internet research on Lime's disease and all manner of tick causing infirmity I have come to the conclusion that it was a terrible coincidence. Ticks. Ugh! I removed one from my baby's head. I went to bed polishing my mother trophy on Mother's Day! Not only have I rearranged the furniture in all three kids' rooms, I also have done some "crafty" projects. Those of you who think I am only a fashionista incapable of anything creative, think again! And, those of you think I am a frivolous diva, think again! For all my crafts I spent under $50. That fifty dollars turned one little girl room into a tween heaven. She now has a place where she grow up (a little). We turned a plain bulletin board ($4) at Walmart into this with hot glue and a feather boa from the toy box. We turned a frame that swallowed a free odd-sized Hannah Montana into this. We made a curtain, covered and padded a bench and graced a bed with one set of sheets! Okay, I haven't actually padded the bench yet. I need a staple gun. Does anyone have a staple gun I can borrow? We framed CD inserts in frames we already had. We spray painted ($2) some lavender shelves (from that little girl room) black. The only other cost was for a few items to organize a closet that was once a wasteland and now makes this mother proud. We've been busy and we've had fun. We are now finding it fun, easy and rewarding to keep it all clean! Yay! I love that by doing this I got to teach Julia how to make a peaceful home that reflects who she is creatively. I love that she had so much fun and so many great ideas. I love watching her express herself through her style and through all of her mountains of stuff. I love that she got to identify what the hindrances were in keeping her room clean and organized. I love that she understands that solving these problems can help eliminate stress and help make her life more peaceful. I love that she got it and that she loves the result. It's times like these that I love that she's growing up because I can see the mature, responsible, creative, expressive, fun girl that she's growing into. For the last two weeks our house has been a germ factory. The same germs have been produced over and over and over! I will spare you the grossness of stomach viruses, potty training and kids. Let's just say potty training stinks...Literally! I will tell you how thankful I am for these last two weeks minus the nasty stomachy parts. For at least four days all I did was sit on the couch and sleep while cuddling with my kids...Mostly Palmer because he had it the longest. ***Sadness*** I was thankful for friends, especially ones who have brought me diapers and Clorox wipes when I went through this before. (Karen) I was thankful that I actually had those items this time. I was thankful for my couch and Janette Oke movies. Like I said, four days. But after that, I was not tired at all. My kids mostly slept and I cleaned like a wild woman. I have rearranged my furniture (Kathryn :) and mopped my floors. I have cooked dinner and done laundry. By no means am I caught up but I feel great! I am not snowed under! Praise God! The kids have been such great helpers. They like organization. The girls cleaned out tons of stuff. Julia sat outside Saturday afternoon for a couple of hours and made $11 towards her bike fund. The test will be to see if she can keep the money without spending it before she gets to go pick out her bike! Even Andrew made a Home Depot run for light bulbs. I bought the wrong ones twice and then Home Depot was sold out and we were all too tired to go to Lowe's...I lose my breath just typing. I braved Walmart (both of them) in honor of home organization. Hold your applause. One of the trips was at nine o'clock in the morning, no traffic. You can give me a standing ovation for taking the girls to Super Walmart at ten o'clock at night. It took over an hour to get checked out at one of the two lanes open...I won't say more because I was thankful for Super Walmart, they had Chocolate Mudslide Creamer!!! I have so much to tell you but it will have to wait until tomorrow. I am off to bed so I don't get zonked again!